Home Randomness What is the Fastest Car in the World? What is the fastest car in the world today is a unique question with multiple answers. This title is quite relative as there is no authority to verify and qualify a production car as ‘the fastest’ except Guinness World Records. No matter what Google says, rules appear to be made by Guinness. Internet resources may confuse you because while the highest speed of a road legal car was achieved by a Hennessey Venom GT in 2014, the laurels went to Bugatti Veyron 16.4 Super Sport. What a funny thing records are! Why? Find out the answer just a few lines below. What is the Fastest Car in the World? – Bugatti Veyron 16.4 Super Sport? The fastest road legal production car in the world today is said to be a Bugatti Veyron 16.4 Super Sport, a vehicle worth $2.5 million. The car reached a top speed of 268 mph (431 km/h) in 2010 and ever since leads the way in boldest automotive creations worldwide. However, in February 2014 a record exceeding 270.49 mph (435.31 km/h) was established by a Hennessey Venom GT but it could not qualify as the fastest street-legal car in the world as the test did not conform to the Guinness Book of Record method of measuring top speeds. The run test was performed at the John F. Kennedy Space Center – the NASA facility in Florida, in one direction only, while the record qualifies only as a mean of highest speeds in both directions. 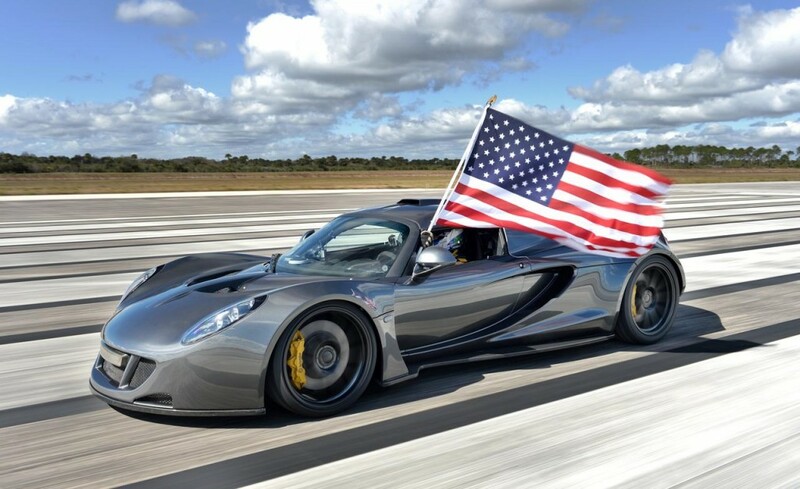 Venom GT’s highest recorded speed was verified and documented by a representative from Racelogic, an automotive technology company which is renowned for VBOX GPS data acquisition systems. Even so, it makes no difference. 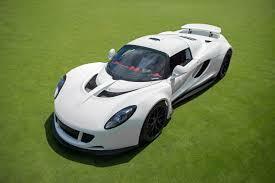 Hennessey Venom GT remains the official first runner up. If you are curious about how this record was achieved, you can watch the whole thing on YouTube. What is a Production Car? As opposed to modified cars (altered from the original status for high performance purposes) or concept cars (prototypes showcasing new features at motor shows), production cars are built for commercial sale and can be used by consumers for personal purposes or even for public transport. The original vehicle manufacturer is required to construct and have on stock at least 20 instances of the same model for retail sale. These cars are street-legal, which means they can pass any tests or official inspections. A production car, as fast as it may get, also distinguishes itself from what is called a muscle car. The ‘muscle car’ is an American invention and is literary a small car with a very powerful, large-displacement engine in it created for high performance driving. How is Top Speed Measured? 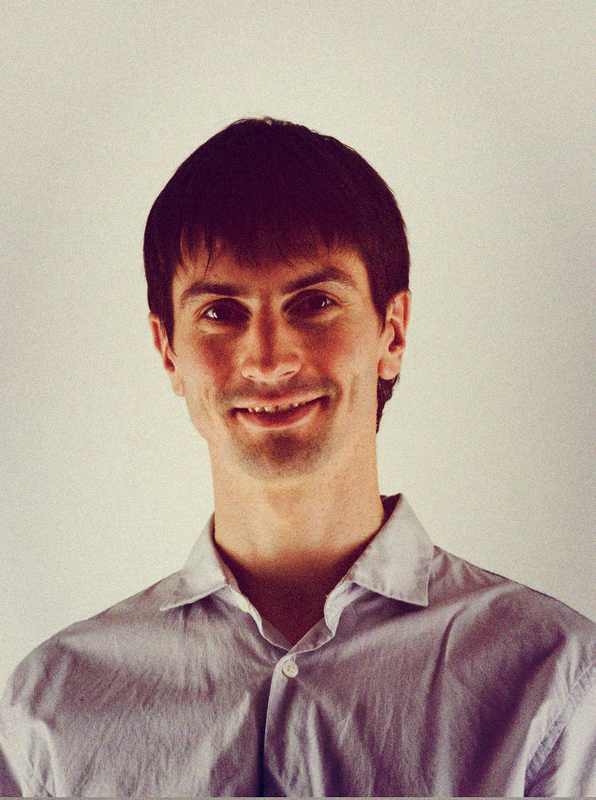 Currently there is no standard method to measure the top speed of a production car. However, independent road tests are being made, which are verified and qualified by Guinness Book of Records. Top speeds are qualified for the Guinness World Record title only as a mean of the top speed for both runs of the road. According to a Top 10 2014 – 2015 Fastest Car in the World created by TheSuperCars.org, Hennessey Venom GT takes first place, followed by Bugatti Veyron 16.4 Super Sport and Koenigsegg Agera R.
Top speed: 268 mph (431 km/h) reached in 2.4 seconds. Unofficially the second fastest car in the world as for February 2014, Bugatti Veyron reclaimed the title of the fastest supercar starting with July 2010, when challenged the speed record established by SSC Ultimate Aero in 2007. Top Speed: 270.49 mph (435.31 km/h) reached in 2.5 seconds. Ever since Hennessey Venom GT beat the Koenigsedd Agera R’s acceleration time in January 2013, it has been known as the unofficial fastest supercar in the world. Top Speed: 260 mph (418 km/h) reached in 2.9 seconds. 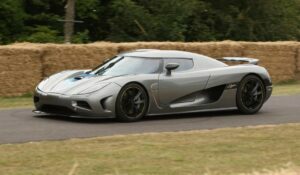 Koenigsegg Agera R is a unique and powerful car which has all the chances to overtake the first two top rated supercars. Top Speed: 257 mph (413 km/h) reached in 2.7 seconds. 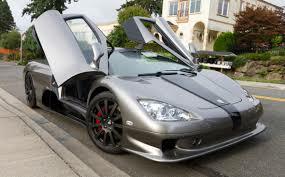 Tested in March 2007 by Guinness World Records, the SSC Ultimate Aero was the fastest car in the world until July 2010, when was beaten by today’s official no. 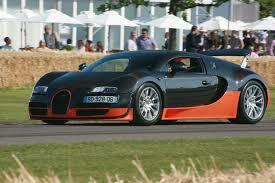 1 or unofficial first runner up – Bugatti Veyron 16.4 Super Sport. Top Speed: 248 mph (399 km/h) reached in 2.8 seconds. 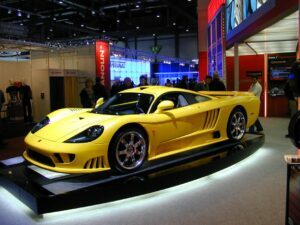 Saleen S 7 Twin-Turbo is one of America’s most powerful supercars ever made and one of the world’s fastest street-legal vehicles. It also features a Top 50 Best Supercars of All Time. What Is the Biggest Car in the World? What’s The Most Poisonous Spider In The World? Which Are the Most Expensive Jewels in the World? Who Are the 10 Richest People In The World in 2018 The Top 6 Careers in Sports What’s The Most Expensive House In The World? What’s The Most Dangerous City In The World in 2014?